There are 10 reviews of Navy. Navy! A warm and comfortable spiced floral. I wore it as a teen and it made me feel strong, independent and grown up. Haven't worn it since 1989. I should hunt some down. For the record, I'm wearing the cologne concentration, a vintage sample under the Cover Girl brand as opposed to Dana. This is actually quite nice. It smells mostly of baby powder (like chalky benzoin) with hints of nondescript fruit and flowers making it sweet. The benzoin creates shades of amber in the base, and there are hints of 70's musk in there as well, but the star of the show is always the sweet baby powder smell. 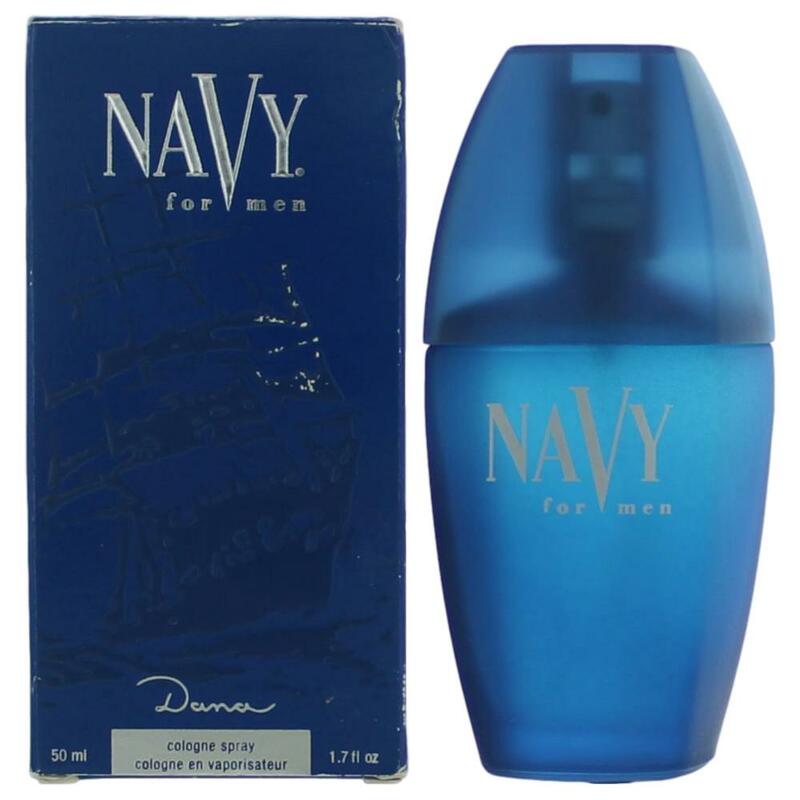 Navy never smells cheap, but definitely smells dated. The idea of little girls smelling musky is certainly not the current fashion, but as a perfume for adults, Navy is quite fun and satisfying if you like pretty, powdery smells. The initial burst of citrus fades very quickly, which is a positive aspect for me since my chemistry and citrus is a bad combination, and it settles nicely into a warm and comfortable spiced floral. This would be a good fragrance for someone who dislikes florals, which I do, because I don't find anything feminine about this scent. It has a faintly woodsy smell but is also a little on the industrial side. I won't be wearing it again but the low price can make it an option for anyone to try. I loved Navy as a teen. I always felt so grown-up wearing this fragrance, as opposed to something like Sweet Honesty that seemed too immature for me at the time. It was a nice, fresh scent and it lasted all day! While I no longer use it (smells a little on the strong side now), I have fond memories of my first "real" perfume. This is surprisingly nice for the price. Hard to believe. It is called a floral oriental with citrus, flowers, cinnamon, coriander. It is not one of my favorites by Dana so I will give it a maybe.